My girlfriend Shannon is one of the sweetest, most creative people I know. This girl always goes above and beyond for her friends - she's the type of friend who remembers your Birthday, sends you messages to brighten your day, and is always thinking of others first. 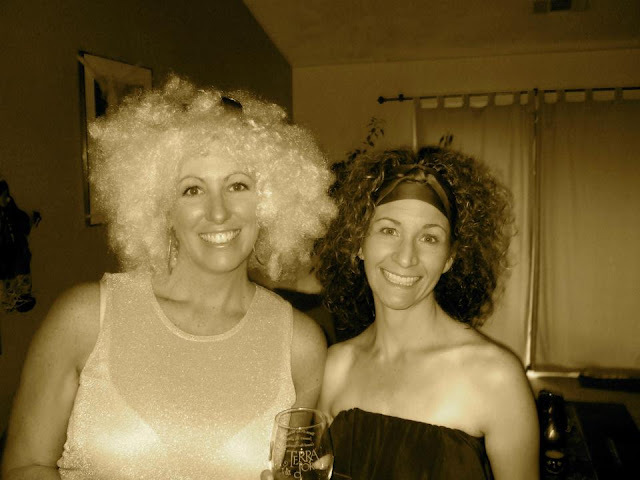 This month, she hosted Bunco. Of course, she combined two of her favorite things... Disco & 70's... which meant a haunted night of fun at the disco. 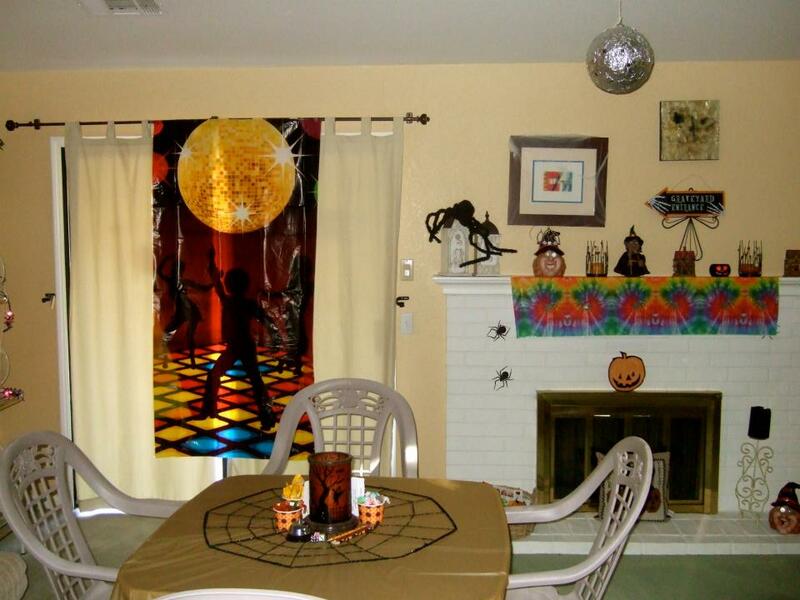 She hand made a disco ball, and decorated her entire house for the event. I wish I would have had my camera so you could have seen the adorable dishes she made for the evening. She had a fondu fountain... and my favorite, a chocolate fountain with all the mixins for dessert! 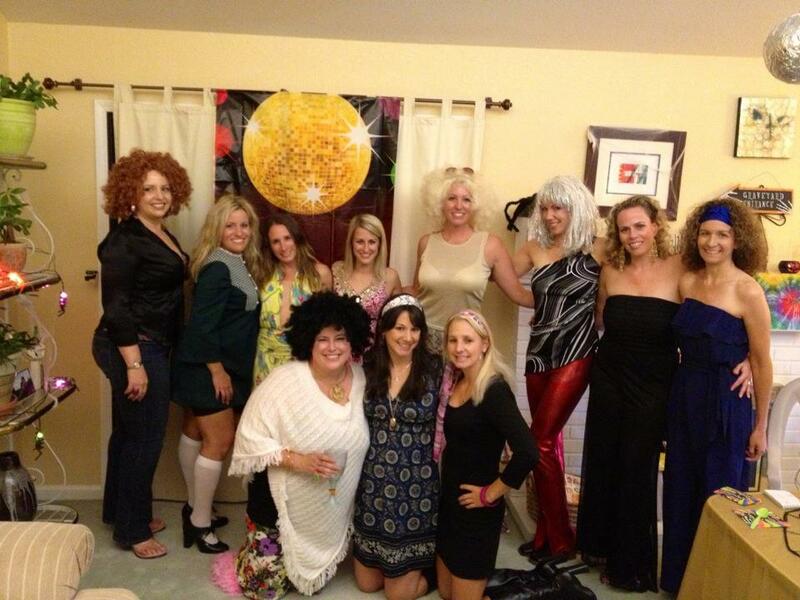 Thanks for a fabulous night ladies (especially Shan and her hubby, Jonathan... I look forward to this night every month! How fun! 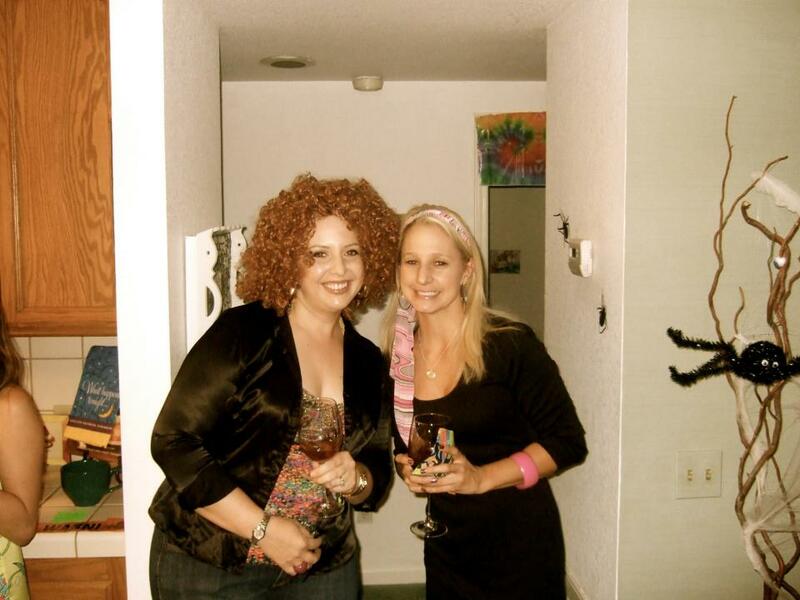 I've got to try bunco some day! How fun! Love all the decorations!